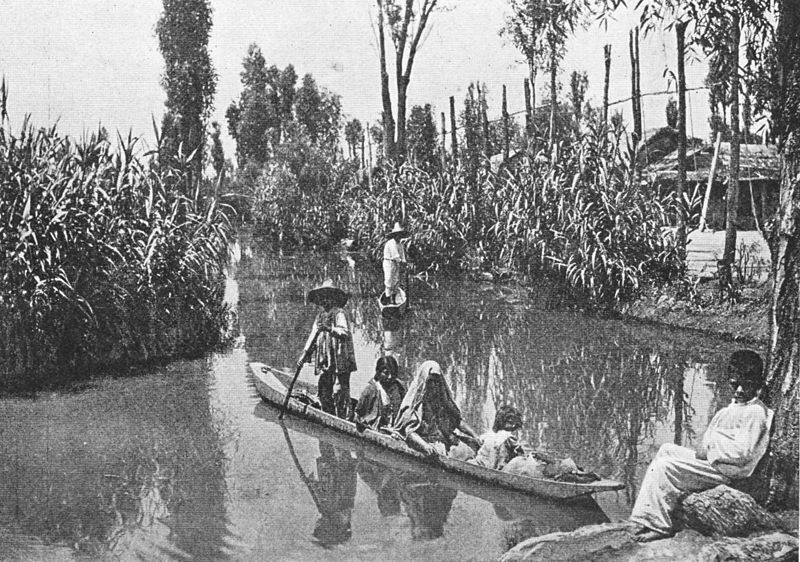 Chinampas and canals, 1912. Source: Wikimedia Commons. Is it possible that the Aztecs may help feed a hungry planet tomorrow? The Aztecs developed revolutionary farming techniques that were a marvel. They also gave us many things we have in our pantry today, but also ate foods likely astonish us, such as corn fungus. Dr. Dirk Van Tuerenhout, HMNS curator of anthropology, will explain how we can benefit from the Aztec’s unique, evolutionary adaptations. This lecture is co-sponsored by Archaeological Institute of America, Houston with support from Occidental Petroleum Talk, the Institute of Hispanic Culture and Food Ways Texas. 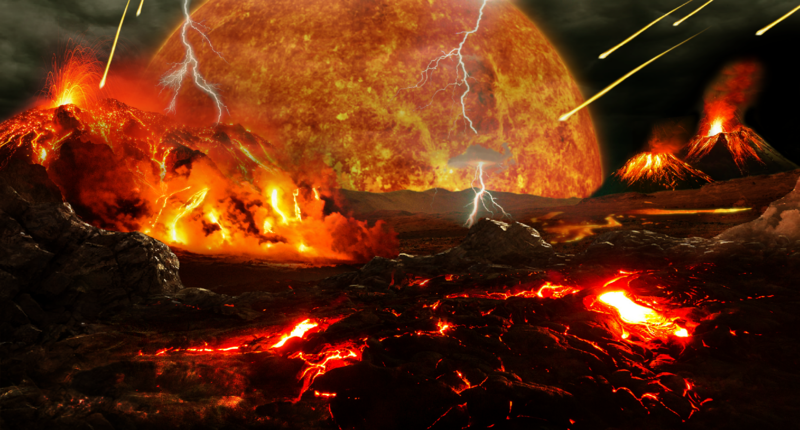 Artist’s impression of the Hadean Eon, just after the earth formed. Author: Tim Bertelink. Source: Wikimedia Commons. In a fusion of chemistry, physics, astronomy and biology, Dr. Carolyn Sumners will overview our cosmic chemistry and the explosive origins to life on Earth. Dr. Sumners is VP of Astronomy at HMNS and Adjunct Professor of Physics and Astronomy at Rice University. This lecture is co-sponsored by Rice University’s Glasscock School of Continuing Studies. Jousting tournaments were held as grand sporting and social events in medieval times. These events sealed the mystique of the knight into modern times. 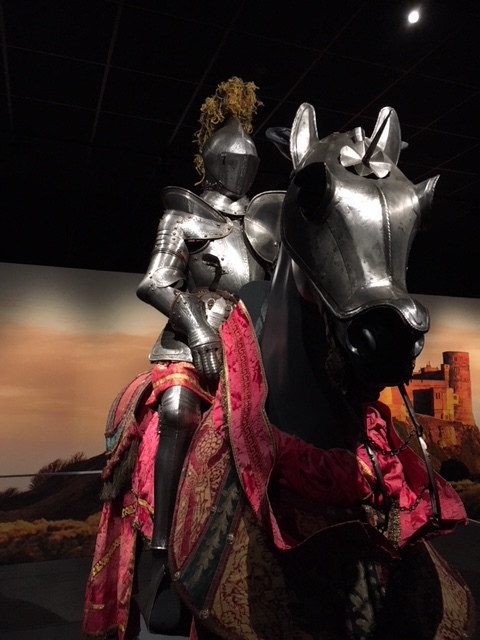 In full knight armor, historian and historical jousting competitor Steve Hemphill will the take us through the various events of a grand tournament. Hemphill competes in historical jousting tournaments around the world. His most notable recent tournament was being part of the winning “English” team at Queen Elizabeth II’s Jubilee Joust 2017 at the Royal Armouries, Leeds England.